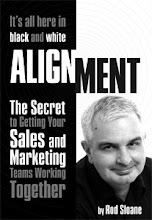 Sales and Marketing Alignment Blog from Rod Sloane: Cricket, Beer and Marmite! Now I love Marmite so much so that when they bring out a Special Marston's Pedigree Edition for the Ashes, of course I buy it. Cricket, beer and Marmite...bloke heaven! So how do you service the people who really like your stuff? What else do they like? Offer them a special. They will love you for it.